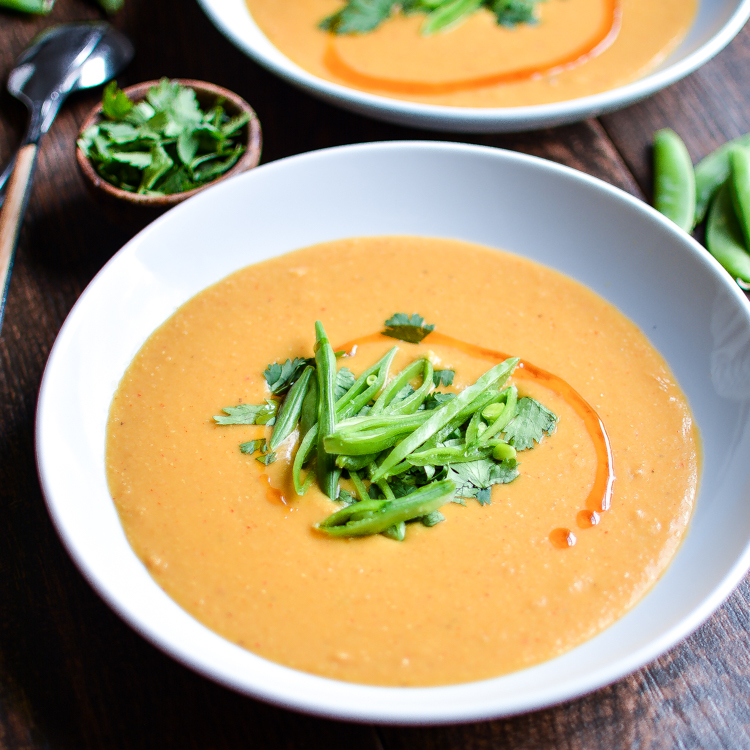 Thai Red Lentil Soup: a healthier vegetarian soup recipe that's perfect for autumn! 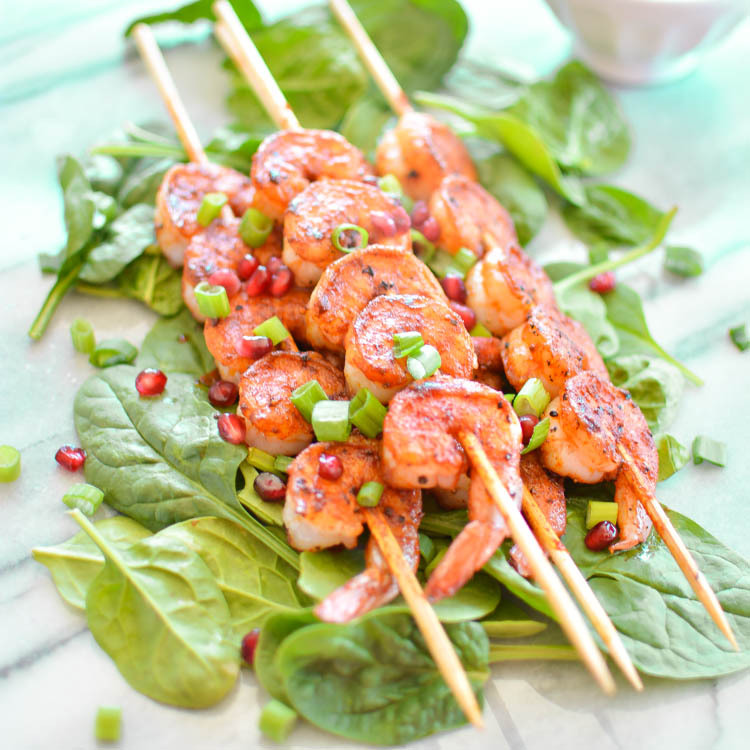 These spicy IPA shrimp skewers with pomegranate sauce are perfect for you next barbecue. 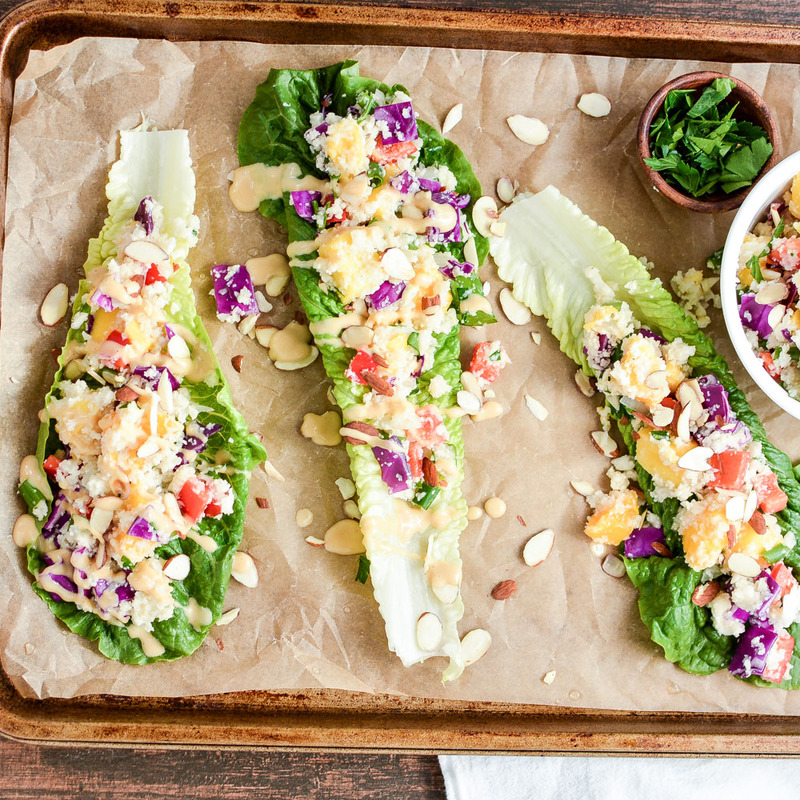 They are simple and ready in minutes! 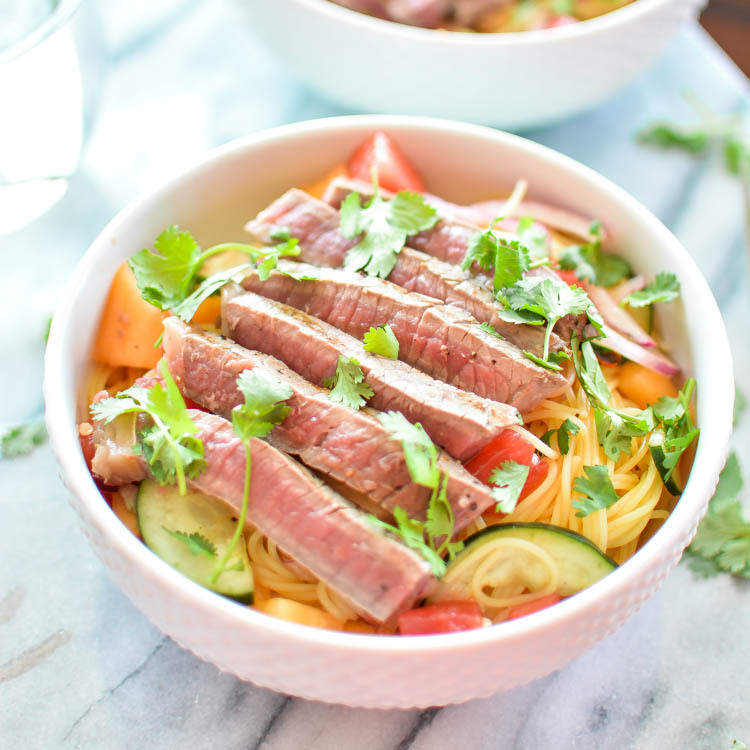 This grilled steak salad is summer in a bowl. 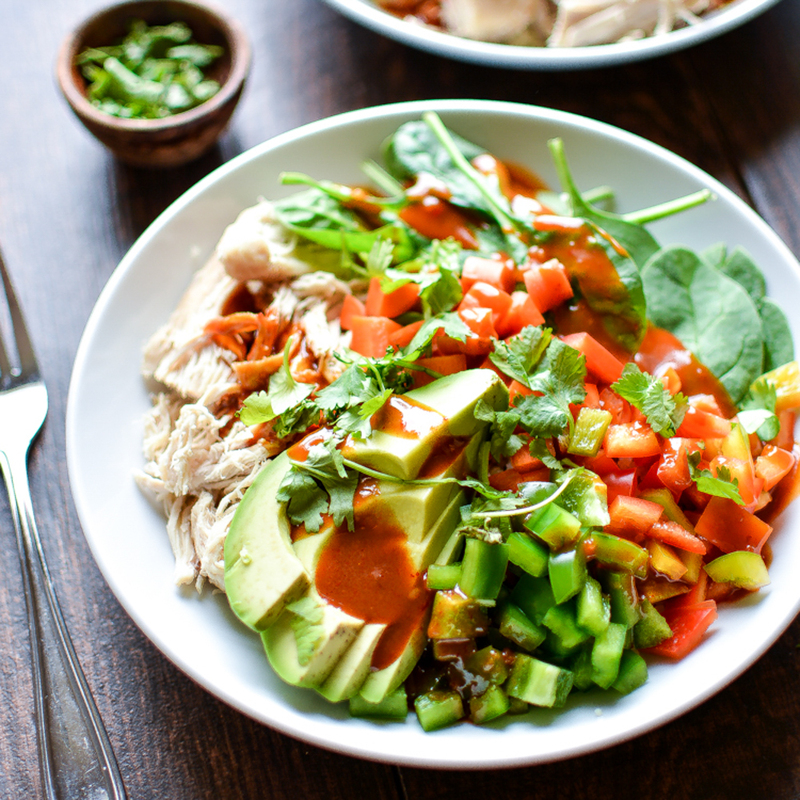 It is laid on a bed of capellini pasta and tossed w/ melon, fresh vegetables and a thai-inspired vinaigrette.